We are bringing in many new luscious confections which we have never featured before and have a fantastic array of gorgeous Valentine gifts and champagne to show your love to others. As a reminder, we specialize in imported and domestic Ports and Spanish Sherrys and offer daily tutorial discussion and complimentary tastings prior to bottle purchases. Open daily 11:00 a.m. to 5:00 p.m., except Tuesdays and Wednesdays. 225 Spring Street, Friday Harbor. 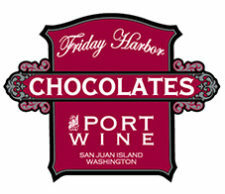 See our Facebook page and website at www.fridayharborchocolates.com for further details.